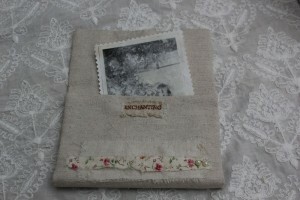 Stitched case/purse & stitched photo frame. Old photograph onto fabric. 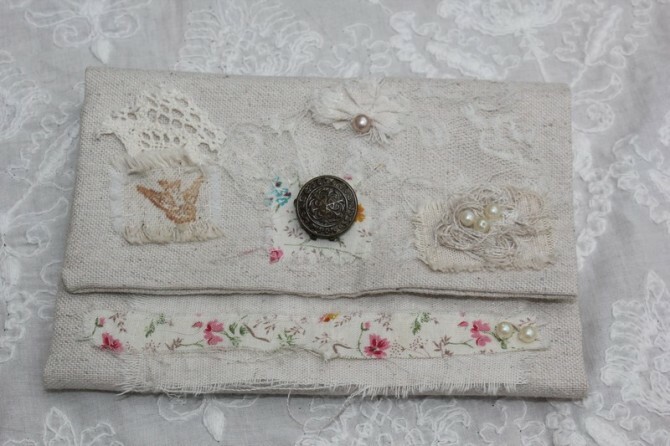 I thought I might quickly show you a couple of things I made for my Mum, this Mother’s Day. 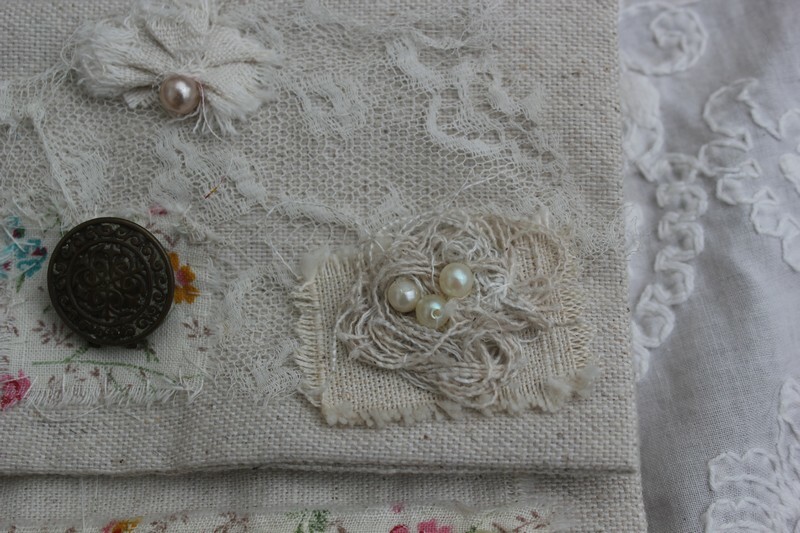 This little stitched case/purse contained an old photo of my lovely Gran and, of course, a few cards of buttons! 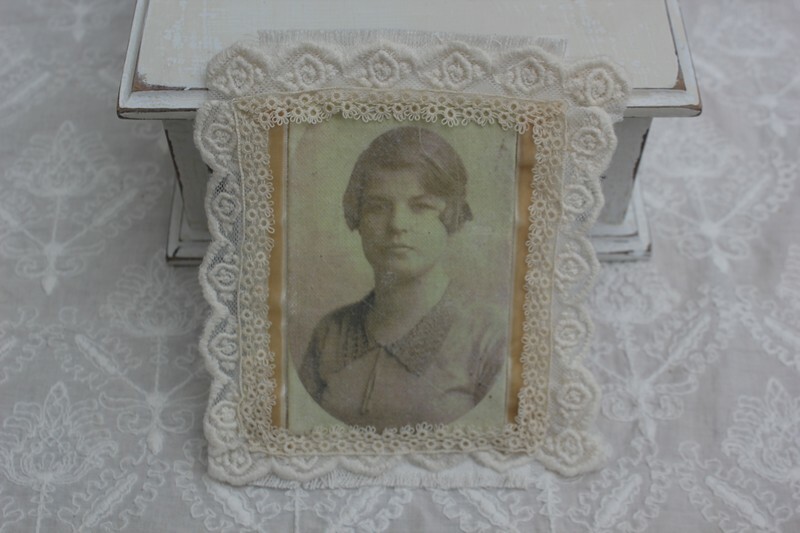 This was another photo of Gran which I transferred on to fabric & added some old lace to frame it as a kind of stitched photo frame. 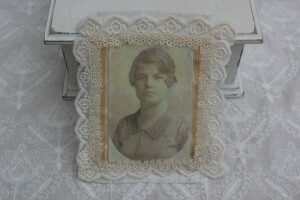 One of the pieces of lace appears to be quite old, given to me by my Mum (under some duress). I know she loved it so it was only fitting to use it on something for one of us girls.